The National Park Service is asking anyone with information about the incident to call the ISB tip line, (888) 653-0009. Callers may remain anonymous. 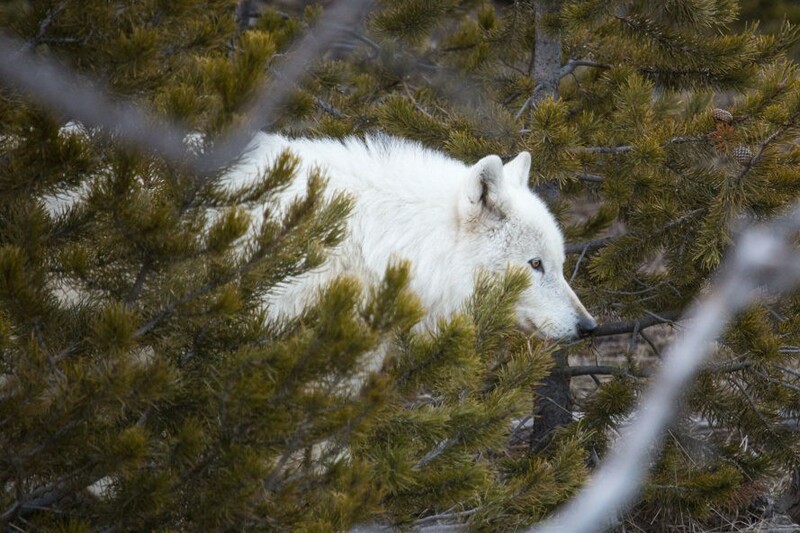 The 12-year-old wolf—one of only three known white wolves in Yellowstone—was the alpha female of the canyon pack. 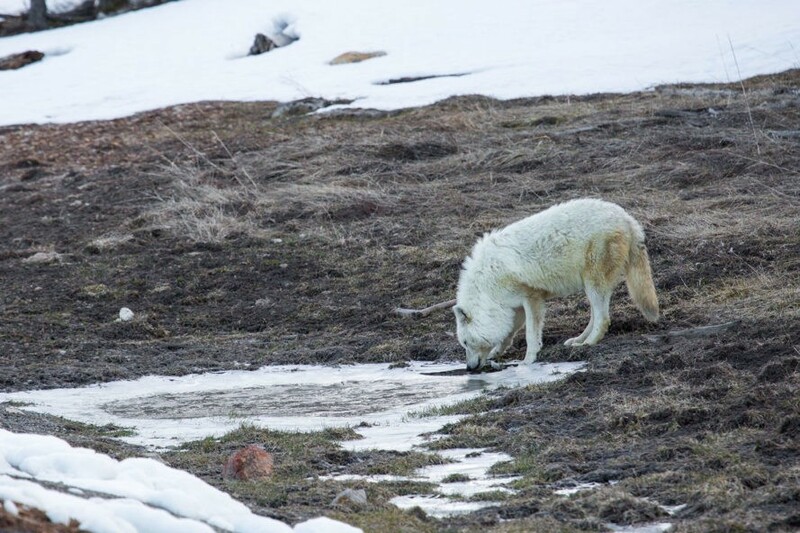 The Center for Biological Diversity is contributing $5,000 toward a reward for information leading to the arrest and conviction of those responsible for illegally shooting and killing a famous wolf in Yellowstone National Park. The Center for Biological Diversity's pledge, along with the $5,000 offered by the National Park Service, $5,000 from the Wolves of the Rockies and the Go Fund Me campaign launched by the Heart of the Wild Yellowstone with the goal of raising an additional $15,000, comes as National Park Service officials are seeking leads in their criminal investigation of the incident. The wolf, mortally wounded from a gunshot, was found by hikers on April 11 in Yellowstone National Park near Gardiner, Montana. "We sure hope they catch the despicable killer of this wolf," said Andrea Santarsiere, a senior attorney at the Center for Biological Diversity. "Shooting this wolf in Yellowstone National Park, an area that should be a safe haven for wildlife, is not only illegal but repulsive." National Park Service officials believe the wolf was shot sometime between 1 a.m. on April 10 and 2 p.m. on April 11, somewhere on the north side of the park—either near Gardiner or near the Old Yellowstone Trail located within the park's northern boundary. As of April 24, it is legal to kill wolves in much of Wyoming, as it is in Montana and Idaho. However, it remains illegal to kill wolves in Yellowstone, Grand Teton or other national parks. "Sadly, this poaching incident reflects what a growing body of research is making more and more clear—allowing extensive hunting of wolves has not increased social tolerance for them, as states have predicted," said Santarsiere. "Instead we're seeing evidence that state-supported hunts of big carnivores actually devalue them among a certain segment of the population, and in fact likely trigger an increase in illegal killings." 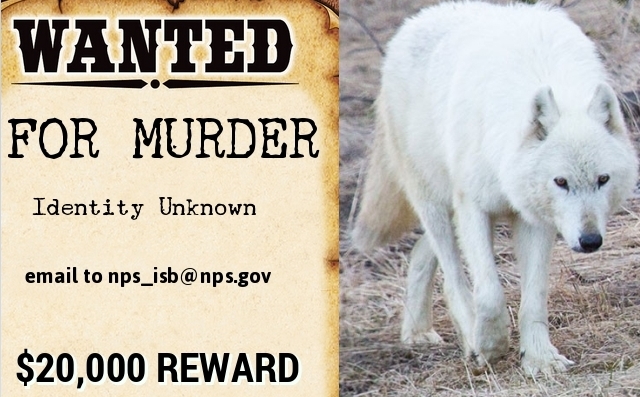 Responses to "Yellowstone's famous white wolf killer has become the most wanted person of interest"